I love emotions, this is why I am a wedding photographer, you get to see joyful people and your clients that are full of emotions and laughter, it is a blessing for me that I have such a great talent for the art to capture these moments. Which brings me to this image. 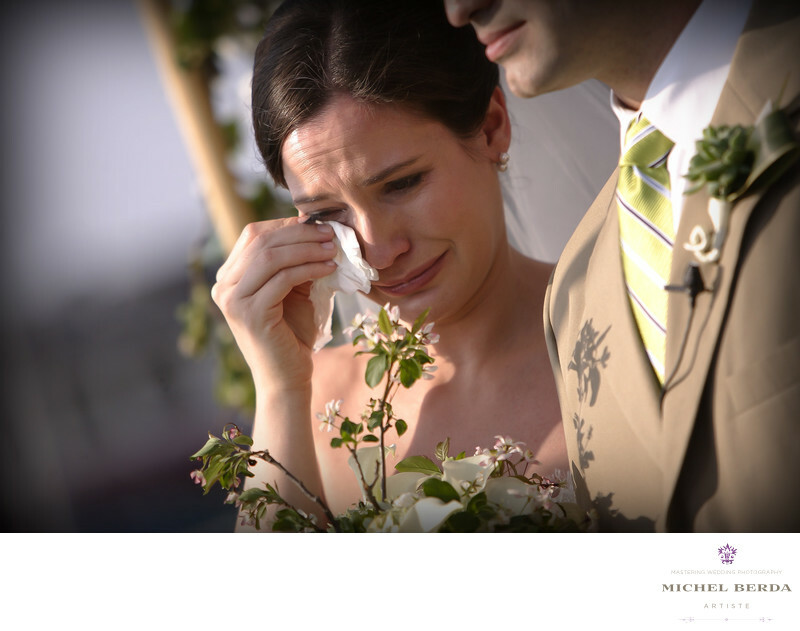 Early on that day while photographing the pre wedding photos, at the bridal suite in Sea Pines Resort, in Hilton Head, Sc, I realized when I met the bride, that she was very emotional. As this Jewish ceremony began, which was held on the golf course by the 18th hole at Sea Pines Resort, in Hilton Head, Sc, the bride started tearing has the rabbi started praying. Paying close attention to everything, I quickly captured this image. This is why I document moment like this for a wedding, specifically what I was looking to photograph threw my eyes has I walked around the Katubah. This images is what the bride felt at that time, and her emotion, has a wedding photographer your clients want to look back at images like this, it is so meaningful to them and it was captured perfectly, and one of many images that was included in her album. Keywords: Destination Wedding Photographer (117), sc (309), Sea Pines Hilton Head Sc (21), Sea Pines in HHI Weddings (21), Sea Pines Resort Wedding in Hilton Head Sc (21), Wedding photographer In Hilton Head (66), Wedding Photographers (198), Wedding Photography (123), Weddings (168).